Boy 4 Car: Van Rental Service. 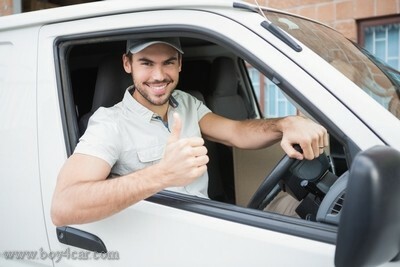 Boy 4 Car offers a vans rental service of different classes and capacity. Our vehicles allow to perform shipping operations throughout UAE with a minimum time and funds investment. Transportation management requires experience, skilled staff and a solid logistic system. At this point, using a professional service of transport provision and drivers is a reasonable option for moving, delivery and business needs. Choose the most suitable option for your objectives: outsize deliveries, multiload transportation, residential and commercial relocation. It is recommended to take into account such vehicle characteristics, as: capacity, size, suspension, fuel consumption and cost. Van rental is a perfect solution for a one-time transportation campaign. The service can be delivered with or without driver assistance. Independent rent allows to manage time efficiently and schedule the needed procedures freely. Vans are also means of sufficient business operation. The service is widely used by numerous companies in production, retail and wholesale industries. As a rule, business deliveries are performed weekly, in some cases – monthly. However, a private van requires maintenance, technical servicing and equipment examination. Rental services save owners from such troubles and business risks, as logistic system failures, vehicle defects, driver absence and so on. Another advantage of the Boy 4 Car offer is a car fleet flexibility. Lack of transportation means should not create a trouble for business growth and development. Boy 4 Car is specialized in express and scheduled deliveries of outsize, medium and large loads.